This easy, no fuss chicken wings, are perfect, no hassle and would be a hit with kids too, with just 4 ingredients you could be having some yummy wings right now. Pour your bbq sauce into a medium sauce pan and add your sugar, on low-medium heat. stir till the sugar dissolves, add your hot sauce. you can add more if you want it slightly hot. 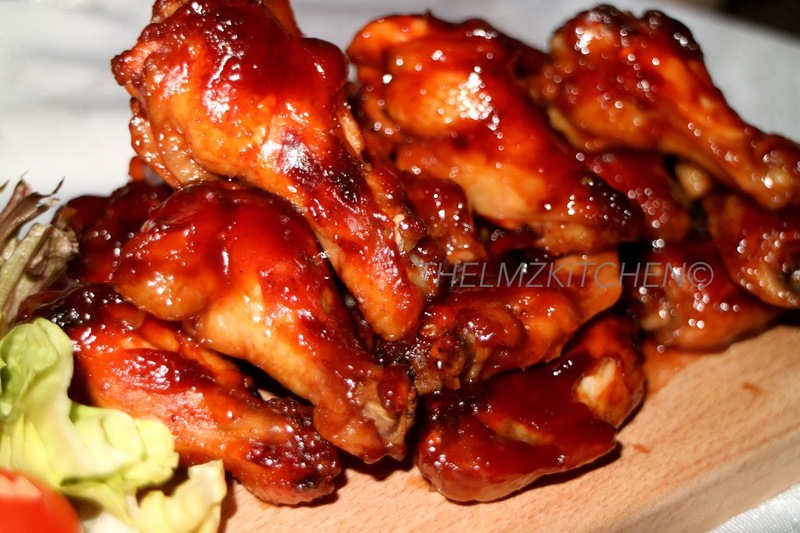 Wash your chicken wing and cut them, pour your bbq sauce over them and marinate for 1 hour. Arrange them on your baking tray covered in foil, grill in oven for about 1hr 30mins -2hrs. 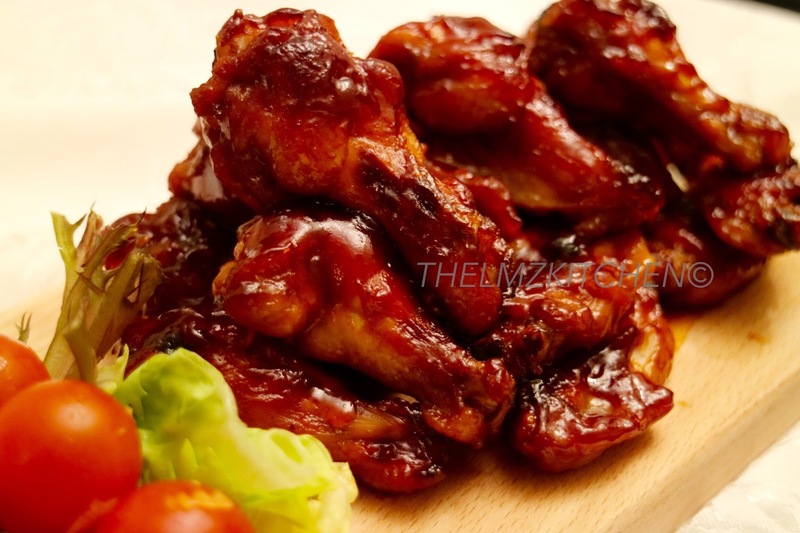 when they are ready , allow to cool for a few mins for the sauce to get thick on the wings. then enjoy. Next Post Roasted Fish served with Fried Yam and my own style of Pepper Sauce.